A motorist was caught drink-driving after he was spotted leaving a pub after a televised football match and was swerving across the road. Chesterfield magistrates’ court heard on Friday, July 1, how Jacob Hardy, 23, of Central Avenue, Chesterfield, had just left the Spa Lane Vaults pub in Chesterfield and was seen swerving on the A61 northbound carriageway. Prosecuting solicitor Ian Shaw said: “A mobile police patrol saw a BMW being driven by Hardy who had come out of the Spa Lane Vaults pub and police thought there was a possibility he had been drinking. 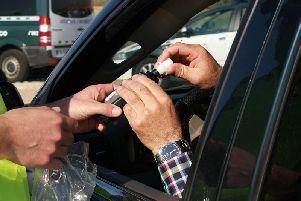 Hardy pulled into the Tesco Express car park near Lockoford Lane and provided a roadside breath test and recorded 78 microgrammes of alcohol in 100 millilitres of breath when the legal limit is 35microgrammes. The defendant pleaded guilty to exceeding the alcohol drink-drive limit after the incident on June 17. Defence solicitor Rob Sowter said: “He had gone to watch a football match and only intended to have one drink but ended up staying for a couple. Magistrates fined Hardy £290 and ordered him to pay £85 costs and a £30 victim surcharge. He was also banned from driving for 18 months but this ban could be reduced if he completes a drink-drive rehabilitation course.